A Few Scraps: I heard you! Giveaway here on the blog! OK my lovely blog subscribers, a number of you entered my Facebook and Instagram giveaways but I also heard from some of you that you aren't on those sites and were feeling a little...left out! I can't have that, I like my blog to be a welcoming place, a happy place! So....one more giveaway? Problem solved! Today I'm hosting a drawing for my new book Wedge Quilt Workshop and a 25" 9 degree Wedge Ruler from Doheny Publications. Marilyn Doheny generously offered this ruler for a giveaway to my readers! This ruler is great whether you want to make the quits in the book (6 of the patterns can be made with this ruler) or if you want to design your own quilts. This 9 degree ruler is the one I got started with and it's so fun to play around with. The packaging alone has SO MUCH info about working with wedges! 2) To enter, leave a comment telling me which quilt in this post is most your style (by name or number). I'm curious what speaks to you! 3) I will post anywhere in the world, so you can enter no matter where you live. 4) The giveaway will be open until February 17. I will choose a winner at random and email them for their address. I'm busy getting ready for a week away at QuiltCon. I'll be teaching 5 classes there, lots of work that doesn't feel like work at all! Really looking forward to connecting with far flung quilt folk and soaking up some sunshine. The first buds are on the magnolias and the Daphne is blooming on my front porch, I'm so invigorated that spring is on the way! UPDATE: Comments are now closed and a winner has been drawn by random number generator, and it's Cheryl's Teapots2Quilting! Thank you for the entries everyone! I think I love quilt #2 the most! would love to have a copy of your book. I'm heading to quilt con too! I also love quilt #2 best - but they're all wonderful! No need to enter me in the giveaway - I have my lovely (signed) copy right by my chair where I can look at it often! Have fun at QuiltCon - I'm having fun enjoying my memories of your classes last year and looking forward to next year in Nashville! I love #2 (Good Night, Good Morning), but #3 (The Three of Us) is coming in a close second! Thank you so much for offering this giveaway. I was one of those disappointed that previously entries were only on facebook or Instagram. My favourite quilt is Pop Art but I am also very drawn to Sea of Serenity and Diamond Chain found in your book. Wishing you the best at Quiltcon. I plan to attend in the near future. The #2 quilt would be my first choice. I do like #4 the optical illusion quilt though sometimes the optics can be hard on the eyes. #4 pops off the page. An optical illusion that dances. Thank you for offering this giveaways. Love #2 blue skies over the sea, or good morning good night !!! Thanks for the giveaway !! Quiltcon!!! Yay!! Eye candy and lots of learning. :) i love quilt 4. It really pops, catches my eye and it's really uncommon. I love quilt 2, Good night,good morning! 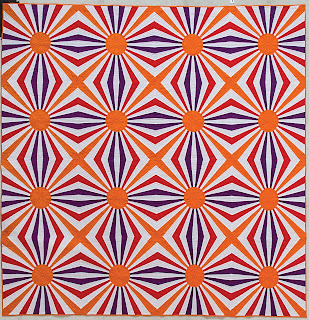 I love quilt #4 Pop Art as it reminds me of the work of the British artist Bridget Riley. Have a great QuiltCon. Thanks for the giveaway Christina. 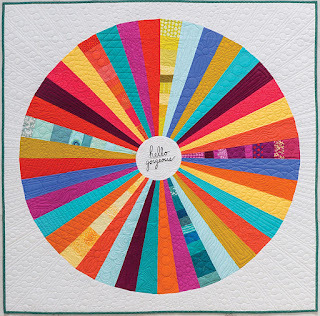 I am going to be different and go with Hello Gorgeous- love the bright colours and opportunity to try differnt quilt designs in the wedges. I love #1! All those vibrant colours together! But they’re all lovely. I have half a top just like #2 waiting for quilting inspiration, but #4 is more my style these days. I like them all, but I think quilt #4 would be the first I would make. Quilt #2 - Good Night, Good Morning. I love your creative twist with the colors and one ray of sunshine reaching out. I like #1, love all the colors. I love them all, but #2 Good Night Good Morning is my favorite! I love quilt #1 the most! I like #2! They're all lovely! Thank you! My favorite is quilt #2. I like the splits in the background and also in the wedges. Looks happy. If I were to make a quillt out of your book, this would be a close tie with no 1 as I would like to make no 1 as a color wheel. Ooooh! I love #2... it would be the one I’d love to make! My fav is quilt #2. Thanks for a chance to win. #2 is my favorite. Thanks for the giveaway. I like #2 quilt, Good Night, Good Morning. I would love to make it. Thank you for the chance to win. I really like quilt #2, Good night, good morning. It is fabulous. I like #3. 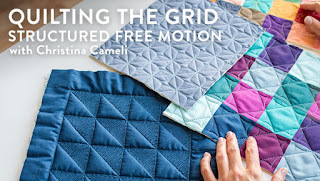 I am only new to quilting, so it would definitely be one to try. It is like a piece of art! Hello Gorgeous is my favourite. Thanks for the chance to win. It's a tough choice, but I will go with #3--I love the movement in the design! #2 Good Morning Good Night is my favourite. How you quilted it is really what sold me, I think. Close second though to #4 Pop Art .... though I think I would go for something a little less poppish, and more subdued colours. Thanks for hearing our pleas! I too am another who is disappointed when I see options where I cannot participate. Also, am delighted to be included when I am non-USA. Another where so many of us are excluded from the fun and feel totally left out and unwanted. Bless You for your inclusivity!!! I love #2 , Good Night, Good Morning the most. I though all three compositions work beautifully I smile at that Errand slice escaping into their own happy space. Have a wonderful Valentines Day and thanks for hosting this sweet fantastic giveaway, Marilyn Doherty too. That’s is Marilyn Doheny too. I love #2- it's so cute and I love the one wedge sticking out! Such whimsy and attitude!! Thanks for the opportunity to win! I like #2 Good Night, Good Morning and I love your teaching style. Thanks for this offer as I am just in the 'mulling over' stage of trying to work with wedges! Thanks for a generous blog giveaway. I love quilt number 2. I think it is the contrast that appeals to me. I really love Quilt #2: Good Night, Good Morning - I loved it the first time I saw it. I think I would have to go with #2, Good night, Good Morning. It catches my eye and stays playing around in my brain. Hi, thanks for looking out for those of us who don't do FB. My fave quilt is Good Night, Good Morning. I love how it plays with warm/cool colors, and has that one wedge that's a bit late to the party. I just love love love Good Night Good Morning's layout and the cool color palette, but I'm really drawn to the palette in The Three of Us too! Thanks for the chance to win! #4 Pop Art. It is so unique! I like the top quilt (like a dresden plate). Thanks for the giveaway. Wow that was a hard decision! But I think #2. Love Good Night, Good Morning - I have a thing for the sun!!!! I am attracted to the energy of quilt no. 4, Pop Art. I want to make my own. Good Night, Good Morning spoke to me. Thanks for the chance to win the ruler! Of the quilts in this post, I think that Good Night, Good Morning is most like my style (which has evolved from traditional quilts). I love the blue fields of colour with the soothing moon beams and energizing sun rays. I like them all, but #3 is my favorite. #1 is my second favorite. I have had Good Night, Good Morning on my inspiration board for a while now, they are all stunning and would probably end up making them all eventually. Thanks for letting us bloggees play along! I love “Good Night, Good Morning”. I like #4 POP ART.....the wedge ruler looks like a great tool with great possibilities!!! You are SUCH a sweetheart. :-) Good Night Good Morning. I'm a nature lover, a sun and moon worshipper, and blue is my favourite colour! A very close second is The Three of Us. Thanks Christina! Thank you for this giveaway - love all the quilts but I think it is #1 that I would make first - Hello Gorgeous!! I love number two. I only need the ruler though, because when I bought a ruler after I bought your book, I choose the 10°. Was that a mistake? I want to make some of these 9° quilts too! Wow, they are all gorgeous, but my favorite is #2! Thanks!! What a difficult choice to make! I would honestly like to make all 4 quilts, but I think The Three of Us would be a blast to make! Thank you for the wonderful giveaway! I like Good Night. It is unusual and thought provoking! Contrast is what I most enjoy in quilts, so my favorite of the four depicted is Quilt #2: Good Night, Good Morning. Love all of the quilts pictured, but #3 speaks to me. Thanks for the giveaway. Hi Christina, Quilt #2 is the one that melted my heart. :) I love your books and classes. Thank you!!! Ooooh, I like #3 "The Three of Us" best, so pretty! So many possibilities with wedge designs! Best wishes for a successful and fun teaching run at QuiltCon. Good Night, Good Morning. Love the simplicity of it. Thanks for the chance to win! Hello Gorgeous is definitely my style. I love simple designs and have been wanting to make a color wheel quilt. All are lovely though! Number 4 is my favorite. Can see it in bright colors! #2 is the quilt that I'm drawn to the most. I like negative space and the 'slices' of the background fabric within each wedge. thanks! I love them all, so it's difficult to choose one. Number 3,"The Three of Us" is most my style today. Tomorrow I might choose #2 or #1!! I love them all, but if I had to choose just one of them I would say #3. I would love to win a copy of your book. Thanks for the chance. #2 Good night, good morning. This quilt doesn't seem as busy as the others. I would love to have it on my wall. It reminds me of "The Little Prince" by St-Exupery! I love Pop Art, but I really want to make the blue wedge toward the end of the book. The "3 of Us" is speaking to me. Love the shading of the colors and the movement I see. #4 all the way! I loooove the geometry and symmetry! I like #2 the best. I like the hues of gold to represent the sun and the pale neutral rays as the moon, the contrasting blues as the day and night skies, and all the quilting. I also like how the rays are interrupted at different lengths. 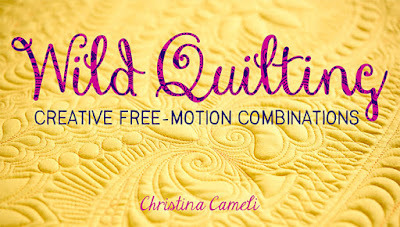 I wish I was much, much closer to be able to attend Quiltcon and take any of your classes life! Pop Art speaks to me. Its beautiful! I love quilt #2 the most. I like them all but #3 is my favorite. I really like quilt #2 - there are so many possibilities to use different fabrics and possibly scraps as well - I am really being drawn to more modern looking quilts. Quilt # 4, Pop Art. They all look awesome though! Thank you for offering a give-away through your blog. I truly do like all of the quilts pictured, but I like #2 Good Night Good Morning the best. I love quilt 4 Pop Art! Thank you for offering this opportunity to us blog readers. I enjoy all you do but don't do most social media sites. I think all of the quilts are great and am stuck on #2 and #3 equally. Hope you have a great QuiltCon! I love them all but would pick #2 or 3. I love both designs but the colours in Good Night, Good Morning appeal to me more. i love #1 and #2 the best; i tend to like big bold motifs - and loving prints as i do, i'd love to try these with some prints! My first choice is #2 closely followed by #4. Good night, good morning is my favourite. Thanks for the giveaway. I like Good Night, Good Morning the best. Pop Art comes in second. Thanks for the giveaway on your blog. I didn't complain, but I'm not on Facebook and seldom go to Instagram. I'm torn between 3 and 4. I'd live to win the book. I've never made a wedge quilt. Thanks for the giveaway. Quilt #2. I like that little bit of random. Quilt #2 Good Night Good Morning really captured my attention. It's right up my alley! Thanks for the chance to win. Hello gorgeous has my vote. Lots of color. Love all these quilts but my fav is #2 Good night, Good Morning. All of the quilts are beautiful--took a minute for my eyes to adjust to Pop Art, but then I liked it! But I think I like The Three of Us best! 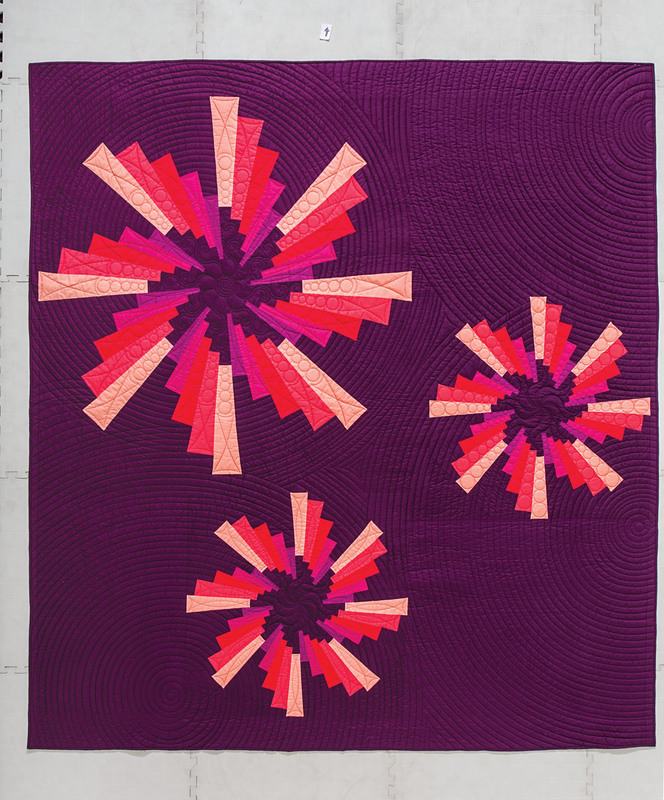 I am a fan of quilt #3...I like the negative space around the spirals. I like quilt #2 Good night, Good morning the most, with #4 being second, but if I made that one I would use different colors. Love your Craftsy classes! I like good night good morning. I like how open it is and I love the red piece that is leaping out to the left. My favorite is Pop Art. I love quilts with strong lines and a sense of movement. Love the broken wedges in quilt 2. Thanks for the chance to win! Your #4 Pop Art quilt is my favourite here for its optical effects. My other favourite in your book Is the Sea of Serenity for its stubborn directionality. Love the book: lots of inspiration!! Quilt #2 Good Night, Good Morning is beautifully conceived and quilted--that's my favorite. Thanks for the chance to enter! Love the effect of #3 The Three of Us. Colors are beautiful together. When I get the book, I'd start with Hello Gorgeous because she seems the simplest to attempt. I really love #4 Pop Art! Thanks for a chance and have fun this week! All of your designs are beautiful. 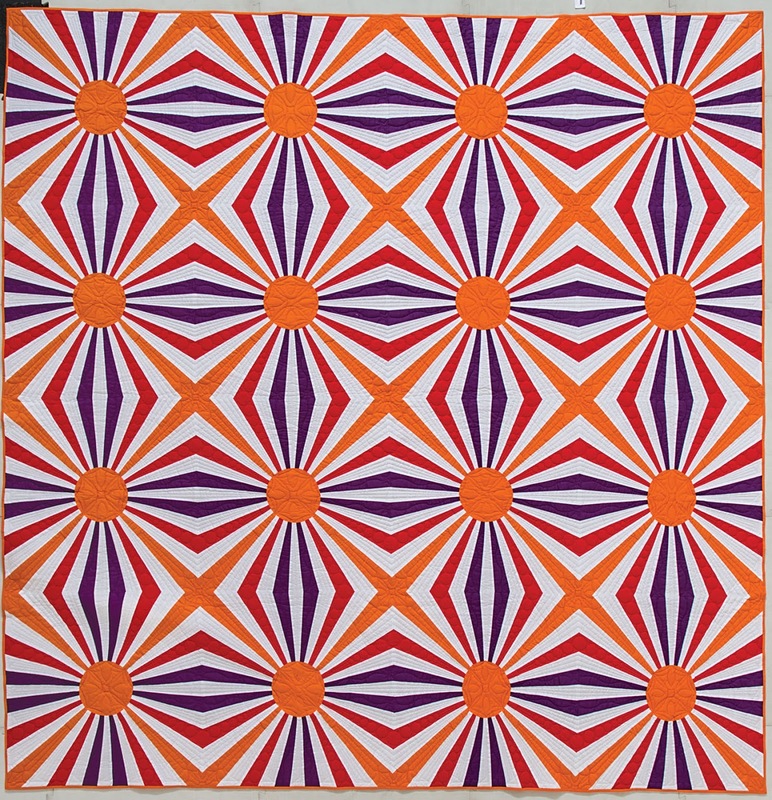 Hard to pick a FAV: Quilt #2: Good Night, Good Morning or Quilt #4: Pop Art or...all the rest. 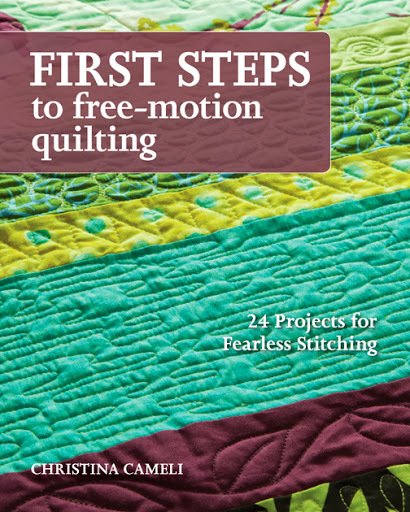 again, difficult to pick a Fav and I'm sure it would be difficult to only make one of your quilts from this new book. I love #2, Good Night,Good Morning! Because I love to snuggle under a quilt at night. And I love to wake up in the morning to a new day filled with quilting adventures waiting to start! Quilt #3: The Three of Us is my favorite and more my style! All are awesome! I am really struck by Good night, Good morning. I like all of them but that's the one that yelled at me! 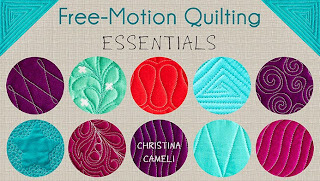 I love your blog and your quilting tips. I would have to say #1, Hello, Gorgeous, is most appealing to me. Love your Craftsy classes and your books. So hard to choose a favourite! I would probably start with #4 -- it is gorgeous in controlled fabrics, but what might happen with scraps? I love quilt number 1. Probably because the quilting looks like so much fun. Quilt number 3 is a close second. Thanks! I really feel drawn to Quilt 2 because I love the colours and the idea of opposites! I like the complexity and deco vibes of of Pop Art! 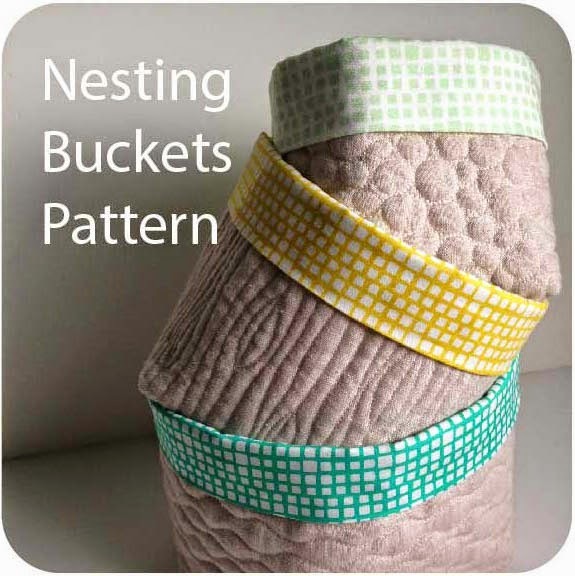 Thanks for sharing these beautiful quilts and for the great giveaway! Love the Pop Art, but the Three of Us just pulls me in hook line and sinker! I am loving #2. Thanks for the chance to make one! Good night good morning is me. I would love this ruler. No. 2 is calling me. Hope I win! quilt #2 is one I can see making myself. I almost missed this (in Alaska awaiting the birth of my first grandbaby). I like #2 &#4 best. Fun quilts. Thanks for the chance. #4 Pop Art is my favorite. Love wedge quilts. I just love "Just the three of us" And I also love your Craftsy classes. They get me inspired! 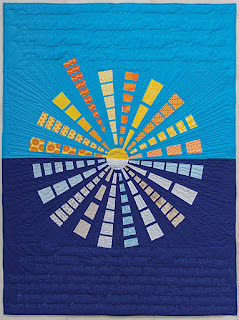 Good night, good morning is my favorite quilt in this blog post. Thank you for the chance to win your wonderful book. So glad I found your blog! I am loving quilt #4, Pop Art! 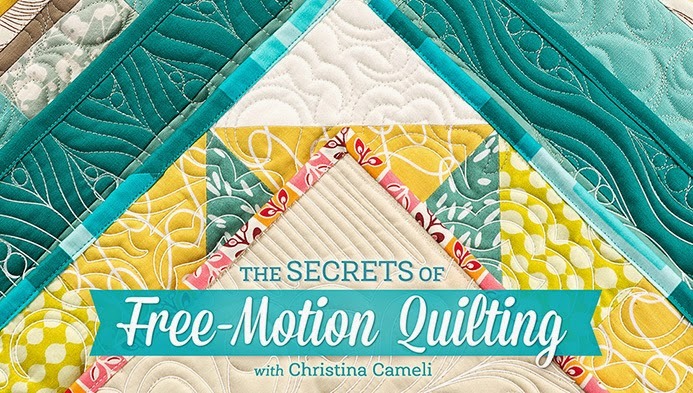 I'm also drooling over your Step by Step Free Motion Quilting book right now! I'm reconsidering whether I'll watch your class in my seven day free trial of craftsy.com. Have been a big fan of craftsy since it started and have 56 classes.I have my favourites though. Your class my become a favourite, as I like several of your designs. So I'm now off to watch your class while I'm making my first crazy quilt using silks, velvets and silk rayons. I have learnt one thing since I've started my wall hanging, is that I don't like slippery and very shiny fabrics as they do not sit still!! Even with pins! Thank goodness this wall hanging is a miniature because I'm sewing it by hand now! Thanks for the opportunity to watch your video and a opportunity to win your wonderful book! I love quilt 2. 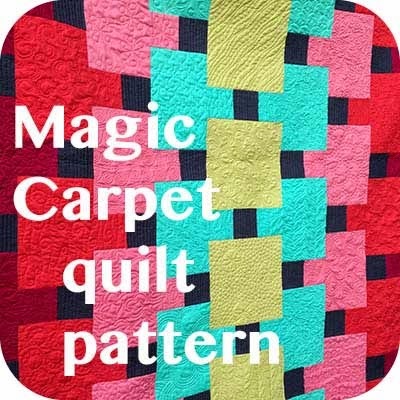 I have never made anything using a wedge but is on my bucket list of quilting trys. I am in a slump right now just out of the hospital and need some new motivation. Would love to win. I like "The Three of Us" best, I think, although #4 comes in a close second! They're all gorgeous, and I've thought of doing a wedge quilt for quite some time....just not far enough up on my to-do list yet! :-) Thanks so much for the chance to win!!! Blessings!! Vivian - wvoaks at comcast dot net. I like all four, but the one I'd make is Hello Gorgeous. The rainbow brightness, positive message and sunshine design make me want to start now. Quilt #2, "Good Night, Good Morning" speaks to me the loudest. Honestly, I love ALL wedge quilts. Oh that is a tough question! Quilt 1. No, quilt 2. No, quilt 1. 2, 1, 2,... I can't decide! Judge rules.... It's a tie between quilt 1 and 2!! 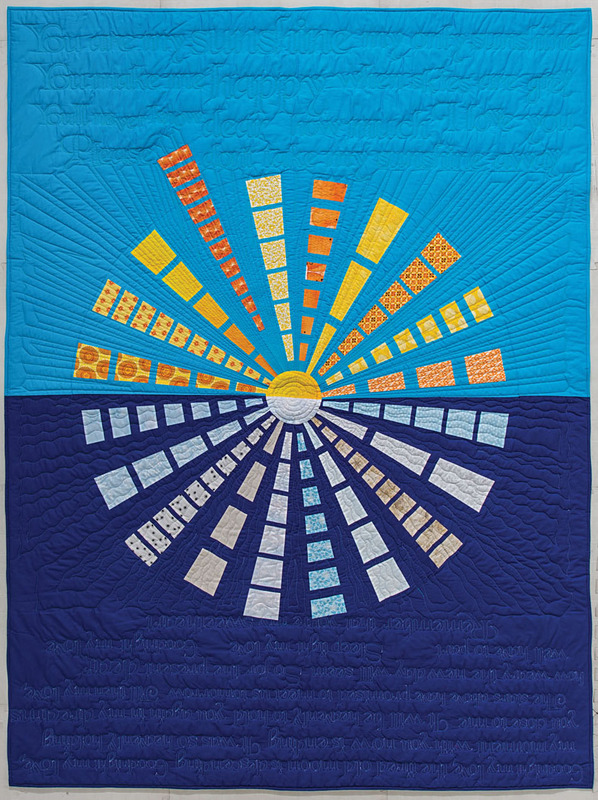 Great quilts - I love especially the good night, good morning quilt!